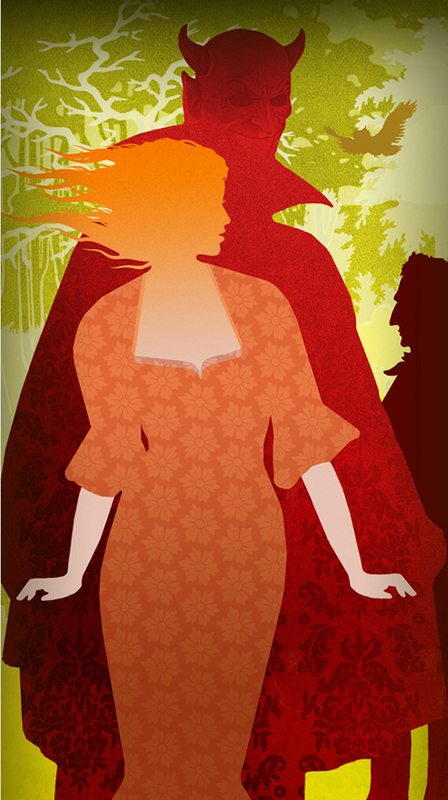 This is 1 of 6 illustrations created for Austin Lyric Opera over two seasons. Faust is the protagonist of a classic German legend. He is a scholar who is highly successful yet dissatisfied with his life, so he makes a pact with the Devil, exchanging his soul for unlimited knowledge and worldly pleasures.